The two-story, 35,000 s.f. 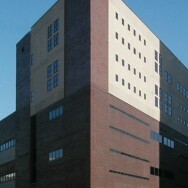 vertical expansion of the existing detention center also included two mezzanine levels. The floor and roof structures consist of precast plank supported on a structural steel frame. Steel columns for the expansion are supported directly on the existing cast-in-place concrete columns, except where the new columns do not align. At these locations, the new steel columns are supported on a cast-in-place concrete transfer girder, which is then supported on the existing structure. The mezzanine levels include cast-in-place concrete floors on masonry bearing walls. Lateral loads on the building are resisted by a blend of braced steel frames and cast-in-place concrete shear walls. 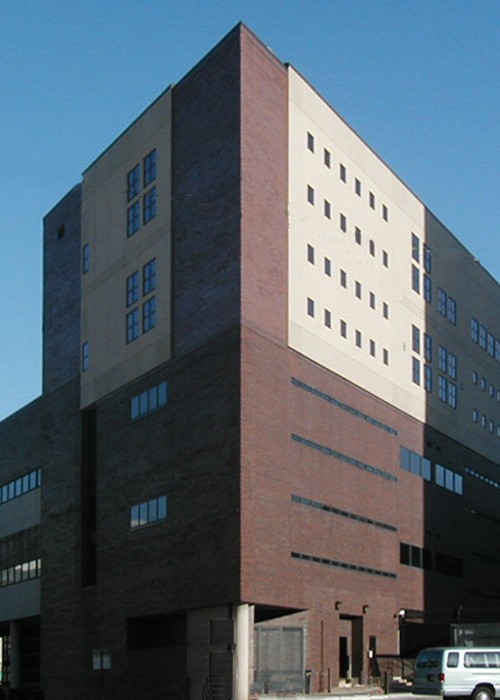 Three different wall systems were used to enclose the building: steel studs, masonry, and insulated precast concrete wall panels.